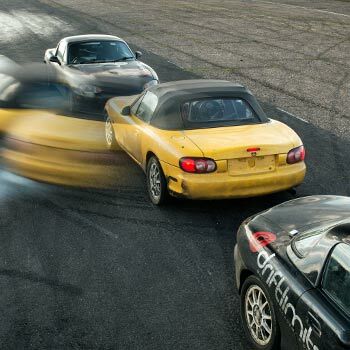 Learn how the stunt drivers on films and TV do it. 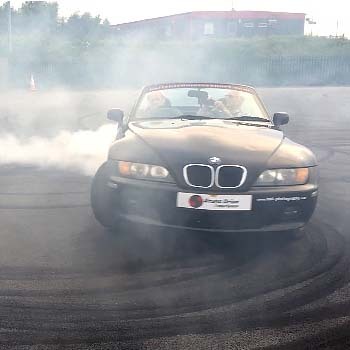 Yes, this is your chance to get to grips with donuts, J turns, handbrake turns, drifting into corners and all the other outrageous manoeuvres that you wished you could learn but never can on public roads. You won’t believe how much you learn and how proficient you become in this fabulous petrol-head experience. This is our favourite stunt driving day that always proves a winner. 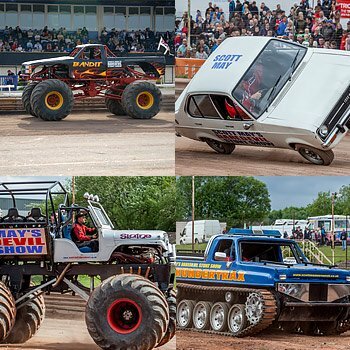 Run by the famous Paul Swift school with its professional instructors, you learn all the tips and secrets of exactly how to do it from the very best stunt drivers. Trust me, you’ll love it. OR if you want to check out the whole field first, then I’ve listed the lot below for you with prices updated every day so you know you’re getting the best value. If you decide not to go with out recommended experience, then what you get depends to a large extent on what you pay. So it’s important to check out the detail of the one you’ve picked and see how long you get, what stunts you learn, who will be instructing you and so on. 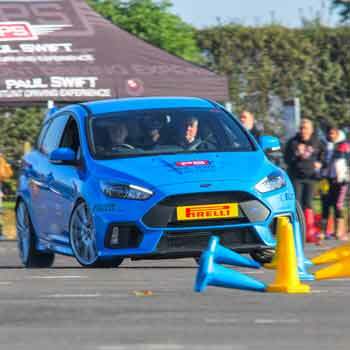 But here’s what happens on the Paul Swift ultimate stunt experience to give you some idea. Now Paul is a seven times British Motorsport champion so he knows what’s what. 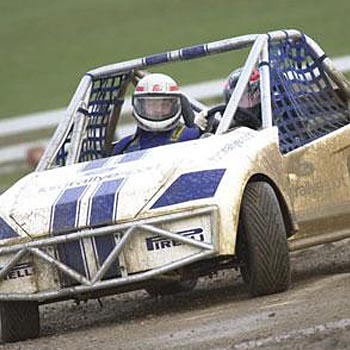 He’s even one of the stunt drivers on Top Gear and well respected throughout the business. Have a look at his Wikipedia page here. Paul has established a number of stunt schools across the country to give you wide access wherever you live to some of the best training there is. For Paul, only the best will do. Anyway, the first thing is that you have to be at least 17 with a valid driving licence – so it’s assumed that you’re already an OK driver and familiar with the basics. There’ll be two to three hours of instruction and practice, so there’s more than enough hands-on time for you to see how far you can go. And what you do manage to master on the day will astound you. There’s no messing about and time-filling. 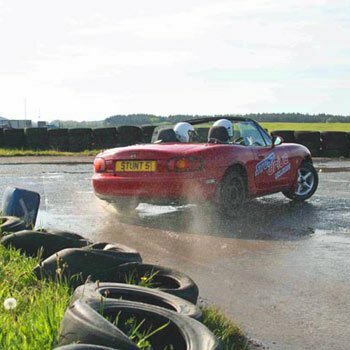 It’s proper one-on-one instruction in a real quality sports car learning all the most impressive stunt manoeuvres. How about the donut (or doughnut as we prefer to spell it!) where the car spins round and round with engine screaming – check out the video at the bottom of the page to see one in action. Or the impressive J turn where you head off down a narrow alley and find your way blocked by the bad guys. It’s into reverse, foot hard down, wrench at the wheel and into first gear to turn on a sixpence and hare off out the way you came in. Boy does it look hairy, but once you know how – well, try it and see! What about drifting – drifting has always seemed to me one of the most magical things you can do in a car. It just shouldn’t be possible. Handbrake turns are a given, of course. 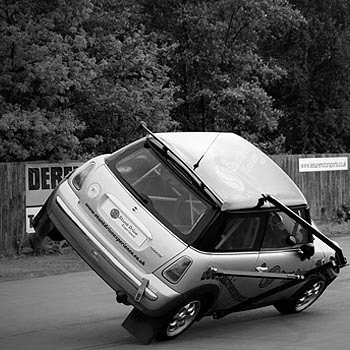 Everybody – just everybody – wants to do a handbrake turn, especially in somebody else’s car. At first, you’ll ride passenger to see close up how the pros do it. And before you know it, you’re at the wheel giving it all you’ve got and even driving against the clock to see if you can top the leader board. There’s a prize for the fastest driver of the day, and even head to head races so it’s personal too! There’s a certificate, of course, but far more important are the memories and the extra skills you’ve learnt about how to handle a car. You may never need to use them on the road, but the added skills and car-handling you’ve learnt will massively increase your confidence behind the wheel of any car. Spectators are welcome, and with refreshments and activities organised, they won’t get bored. And you can bet they’ll probably want to come back and have a go for themselves! Bet you can think of half a dozen people who’d appreciate this as an amazing gift idea, a welcome change from the usual run of the mill gifts when it comes to Christmas, birthdays, anniversaries and the like. This is a present that will last and last as the memories and skills learnt live on and on. Or better still, buy two of these and go with them. And we’re not just talking men here either. Some people think women make better drivers anyway, and this experience is certainly one for the ladies as well as the gents. And finally, as promised, here’s a Youtube vid of the famous donut. 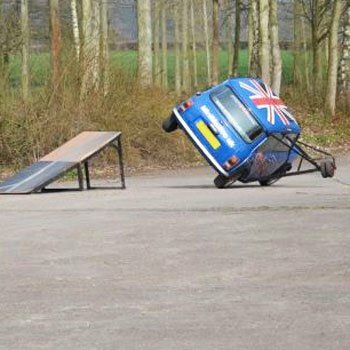 Send us your own vid when you’ve been on your stunt driving day and we might even put it up here for you!